Commission Gary Akers, one of America's foremost contemporary realists, to work personally with you to create an unique 'master work' that has special meaning for you. This experience and artwork will be enjoyed and valued for a lifetime. Akers is particularly known for his highly worked paintings in egg tempera, a technique in which dried pigments are mixed with egg yolk and distilled water and layered in thin brushstrokes on a gessoed panel. 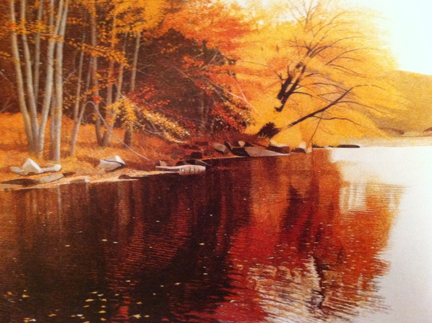 Akers' egg temperas are built up of hundreds of layers, using the technique of cross-hatching, small strokes of color that are layered over one another to achieve subtle tonal effects. Akers is a highly accomplished watercolorist, and has received major awards from the American Watercolor Society. where he is an elected Signature Member. Gary Akers welcomes your commission, feel free to contact him to discuss in detail the subject of your desired Egg Tempera or Watercolor. The timeframe and price of your commission is based on the size and chosen medium for the painting. Please feel free to contact Akers directly with any questions or particular requests that you may have in mind at Gary-Lynn Galleries, Inc.